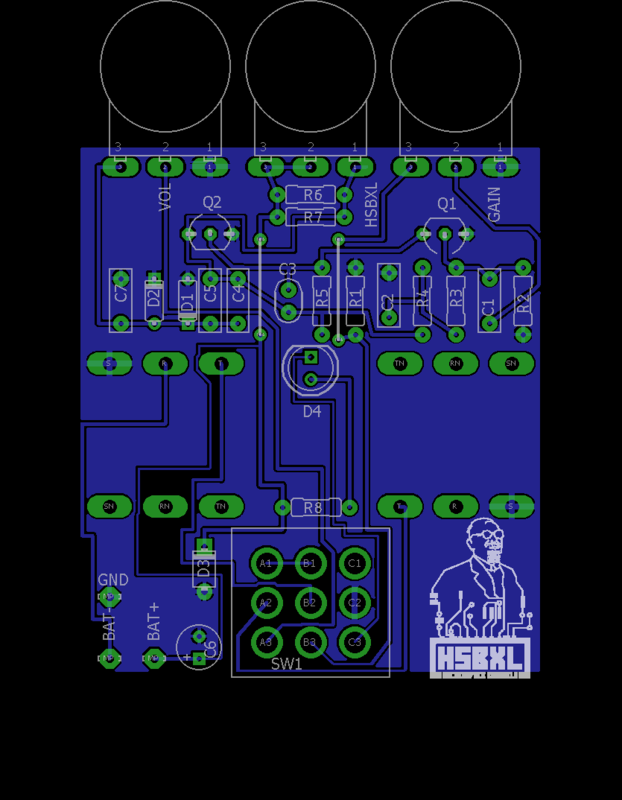 To celebrate the awesomeness of HSBXL, we’ve designed a limited edition HSBXL-Fuzz pedal for guitarists, bass-players and other musicians that want to properly mess up their sound-fidelity. The design is made to be ‘mod-friendly’ and multiple options for assembly will be proposed. To fund the PCB printing costs, components and aluminium die-cast enclosure, a participatory fee of +-€30,- is proposed. The schematics and relevant build-documents will be handed out during the workshop. If you can, bring your own soldering iron.